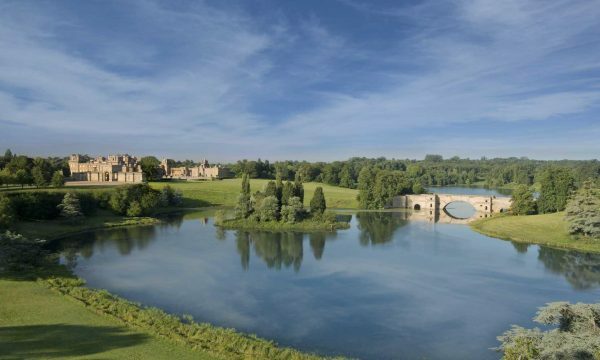 A UNESCO World Heritage Site since 1987, Blenheim Palace attracts close to a million visitors a year from all over the world. 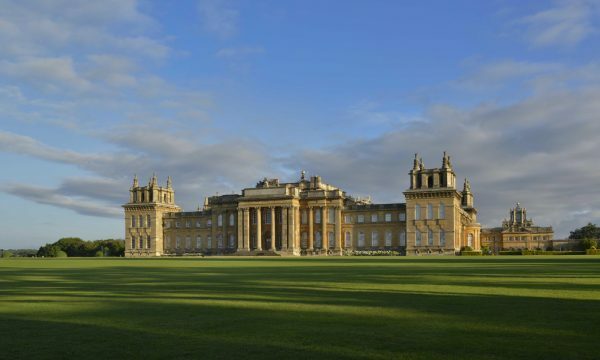 The Palace was a gift from Queen Anne to the 1st Duke of Marlborough, following his decisive victory over the French at the Battle of Blenheim in 1704. The Palace, which took almost thirty years to reach completion, was designed by Sir John Vanbrugh to function not only as a private house, but also a monument, castle, and citadel; a testament of England’s supremacy over the French in a blaze of architectural glory that would rival Versailles. As such, as well as following contemporary conventions of symmetry and formality, Vanbrugh utilised all the mass ornamentation, symbolism and drama of the Baroque. The Palace is set in two thousand acres of parkland and formal gardens and as generation follows generation, successive Dukes have introduced their personal touch by each adding new styles and layers of beauty to the landscape. In 1764, the celebrated landscape gardener Lancelot ‘Capability’ Brown was employed by the 4th Duke to rip out one hundred acres of formal garden and replace it with romantic parkland, which is particularly impressive considering that both the Duke and Capability Brown were planning decades, if not centuries, ahead, knowing full well that they would not see the scheme come to fruition in their lifetimes. Steeped in British history, the Palace is also famous as the birthplace of the distinguished wartime Prime Minister, Sir Winston Churchill, who was himself a member of the family and descendant of the 1st Duke. Handed down through successive generations, the Palace today continues to be privately owned and is the official seat of the current and 12th Duke of Marlborough. 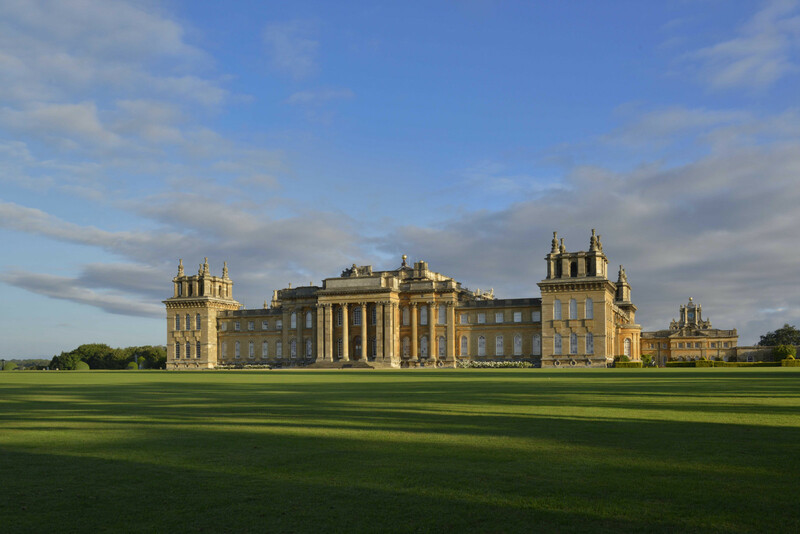 Blenheim Art Foundation was launched on the 1st October 2014 with the opening of the inaugural exhibition Ai Weiwei at Blenheim Palace. This marked the beginning of an entirely new initiative at Blenheim Palace, offering visitors the unique opportunity to experience the work of international contemporary artists through a series of exhibitions held within the historic setting of the Palace and its celebrated grounds. The Foundation is a non-profit organisation that aims to challenge convention, breaking away from the “white cube” aesthetic that has become synonymous with the presentation of contemporary art. Blenheim Art Foundation seeks to show artists most relevant to our time and looks to those who question conventional thinking in contemporary art. The fundamental ambition of the Blenheim Art Foundation is to challenge, engage, and excite the visitors at Blenheim, where the programme is continually evolving. The Foundation was established by Lord Edward Spencer-Churchill; brother of the 12th Duke of Marlborough. A dedicated collector of contemporary art, Lord Edward has long-held the ambition to launch a contemporary art programme at Blenheim.